Every Multimeter has been designed with the needs of a different professional in mind. 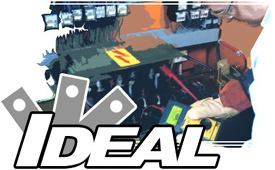 From the sophistication of the PlatinumPro Series, to the lightweight, compact design of the pen-style meters, IDEAL has a multimeter for every electrician and every environment. 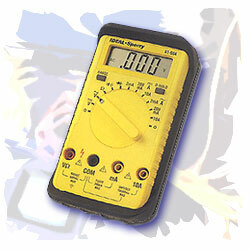 Test-Pro contractor grade multimeter with max hold and data hold. Proven contractor-grade multimeters for the professional who requires a solid performer to accurately measure common parameters. Technical grade professional multimeter kit with extended accuracies. Includes software and interface cable. Provides 0.5mg peak hold. For viewing the fluctations and trends of a measurement, there's no substitute for an analog meter. Designed in the classic style analog users have grown accustomed to with a large display and built-in stand.